sOooooh I just love spiritual life quotes. I’m honestly addicted to spiritual life quotes. From Rumi to Lao Tzu to Buddha to The Dalai Lama, there are so many wonderful inspirational people we can all learn from. Here are the top quotes from my favorite spiritual gurus. How to do it Don’t dwell on the past and what you don’t have. 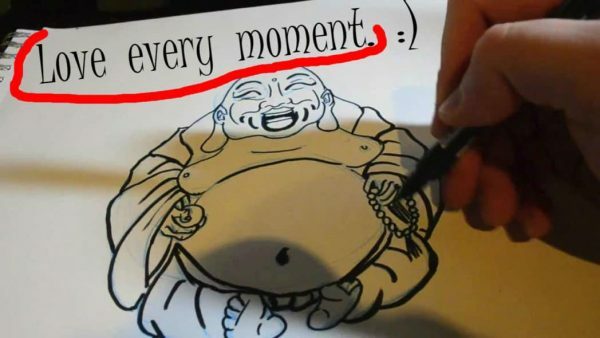 Be mindful of the moment by practicing mindfulness. How to do it: The most self-empowered people meditate regularly. 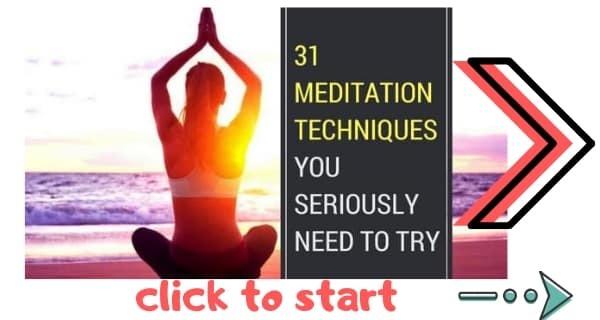 This great beginners guide to meditation can help you to get started. How to do it: There’s one powerful way in which you could change yourself, if you wanted to. But don’t do it. We love you just as you are. How to do it: Focus the mind on silence. 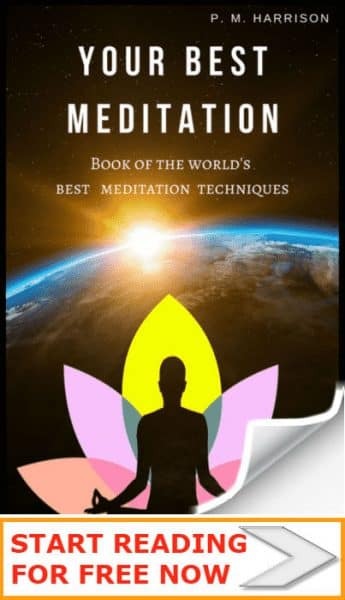 Focusing on silence is one of the oldest spiritual healing techniques in the world. How to do it: Tend to your mind as a gardener tends to flowers, and only grow roses there. Positive thinking will help. How to do it: Connect with your happiness. Follow your heart. How to do it: Find the anchors that are weighing your spirit down. Discard them. This special technique will help. How to do it: Let your spirit be free to roam with the butterflies. How to do it: Cultivate compassion with Karuna meditation. Then just love. Just love everyone and everything. Life Lesson from the Quote: This quote is excellent because a certain amount of defeat is inevitable in life. Instead of being beaten by one thing and giving up, go after something even bigger! Keep aiming higher and higher. Life lesson from the quote: Forget about money. Life is its own economy. If something takes little time but grants much it is profitable. If something takes lots of time but grants little it is too expensively priced. Life lesson from the quote: We may not be able to control everything. Bad thing we inevitably happen at times. But what we can master is our reaction to bad events. By learning to keep inner peace, faith and calmness we can ensure that even the worst of times are comfortably overcome thanks to our positive reactions. Life lesson from the quote: Too many people focus on what they get and what happens to them. It is much more positive to think instead of what we can give to others. Spend less time thinking of yourself and more time thinking about others. This will lead to more happiness and life satisfaction both for yourself and for those around you. This quote reminds us that we’re all beautiful in our own way. You are the one unique you, the only one there will ever be, the you the universe put here because without you the universe would not be the same. Accept yourself and love yourself as the universe does. To develop self acceptance, read our guide to loving kindness meditation. The Thich Nhat Hanh quote above is so true. Exercise and taking care of your health is vital. Personally I love running out in nature. How about you? We are one with the universe, the world, and the cosmos. We are a part of the same whole. To show love to the universe we must show love to ourselves. We must be healthy in body as is mind. We can achieve total health by practicing this healing technique. Beautiful woman lying in a field. LOVE. Also, this girl is just beautiful… just saying. It is easy to pray to divine guidance. To find divine guidance within yourself is more challenging, but is the way of the enlightened mind. You yourself more than anyone else and more than anything else, know the direction your life must travel in. Follow your heart. Follow your intuition. What you think you become. Do you believe in that quote? Leave a comment and remember to subscribe to our newsletter below . Your mind is the governing force of your own life. What flows through your mind enters into your life. To create ajoy-filled life, first begin by creating a joy-filled mind. Rid yourself of negative thoughts. Be positive. Buddhist mythology states that we repeat our lives until we find enlightenment. Having found enlightenment we then help others to find enlightenment too. Sharing your positivity and your happiness is the most important thing. Only the ignorant intentionally harm others. The enlightened dedicate themselves to helping other people, other animals, nature, and the universe. The most enlightened mind dedicates their strength to the betterment of others. A hostile mind will create a hostile world. We must clear our minds of anger. We must live from a point of compassion, love, and acceptance for all. Racism, sexism, abuse, it’s the job of the enlightened individual to rid the world of these evils. Holding ambition, love, peace, and hope in your own mind is one thing. Sharing your positivity with the world is much better. The world needs your positivity. Share it. Join a group where you can express your positivity. Let’s Dream the dream together. The best thing in life is to enjoy the journey. Enlightened minds don’t think of destination. They live in the here and now. By being mindful and living in the moment we can enjoy the fullness of every step of our journey. To make the most of your life, live in this moment, now. Happiness is not ready made. Happiness is created from your own actions. The primary purpose in this life is to help others. And if you are unable to help others, in the least, do not hurt them. Like the days, old friends pass, new friends appear. What is important is to make it meaningful: a meaningful day. A meaningful friend. Compassion and love are necessities, they are not luxuries. Without them we cannot survive. To make others happy, practice compassion. To make yourself happy, practice compassion. We must generate a good attitude and also a good heart. From a good attitude and a good heart, happiness in both the short term and the long term for both yourself and others will come. I find hope in the darkest of days, and focus in the brightest. Sometimes we create a dynamic impression through words, sometimes silence creates as significant an impression.